Busy women with hectic schedules don’t really have time to worry about whether their necklaces will hold up. No one knows this better than travelers. Whether you travel for business or for pleasure, you can accessorize without with titanium chains. What makes a titanium necklace a great choice is that in addition to looking great, you won’t have to concern yourself with how well it will hold up or if your necklace will fall off while you’re on the move. Even women travelling with small children won’t have to fret about their young ones pulling the chain off or breaking it. The strength of titanium is guaranteed to take the abuse. Each link is welded to the next, and each necklace is fitted with a titanium clasp so you don’t ever have to worry about it breaking. 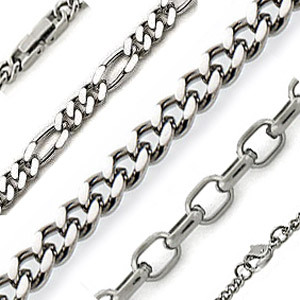 Another benefit to using titanium chains is the fact the metal is hypoallergenic. So whether you go to cool, mountain destinations or hot and humid tropical climates, you don’t have to worry about the metal affecting your skin. The necklace will just continue to be a great piece that works as hard as you travel. You can choose from polished or a satin (brushed) finish. A woman, of course, would not be caught with just her necklace. If she’s going to wear her jewelry, she’s going to wear the whole set! So if you plan to get yourself a titanium necklace, you might want to browse through some titanium earrings or titanium bracelets while you’re at it, and get a jewelry set that’s not only beautiful, but tough as well. Men should not be shy about donning a necklace. There are a lot of masculine styles to choose from that would look great on men, like the titanium ball necklace that is designed with a tough chain and a military styled connector. And just like all our titanium jewelry, there is a lifetime warranty so you can be sure that each and every piece is built to last. To keep your titanium chains and other jewelry looking just like new, a refinishing kit is a handy piece to own. While titanium keeps its sheen over the years, it still needs a bit of maintenance to make it look good as new. For these purposes, make sure you get a refinishing kit as part of your jewelry cleaning tools. Not only does it work on titanium, it works on stainless steel, gold, platinum, silver and hard metals. The next time you take a trip, travel with titanium pieces. 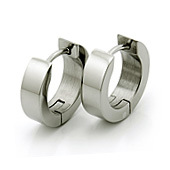 Take titanium jewelry with you so you can focus less on the jewelry and more on your journey.